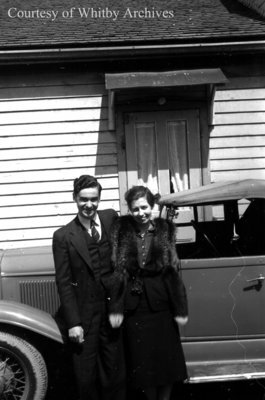 A black and white negative of Bob (left) and Grace (right) Anderson standing in front of a car that is parked in front of a house. Grace & Bob Anderson, May 14, 1939, Marjorie Ruddy. Whitby Archives A2013_040_682A.